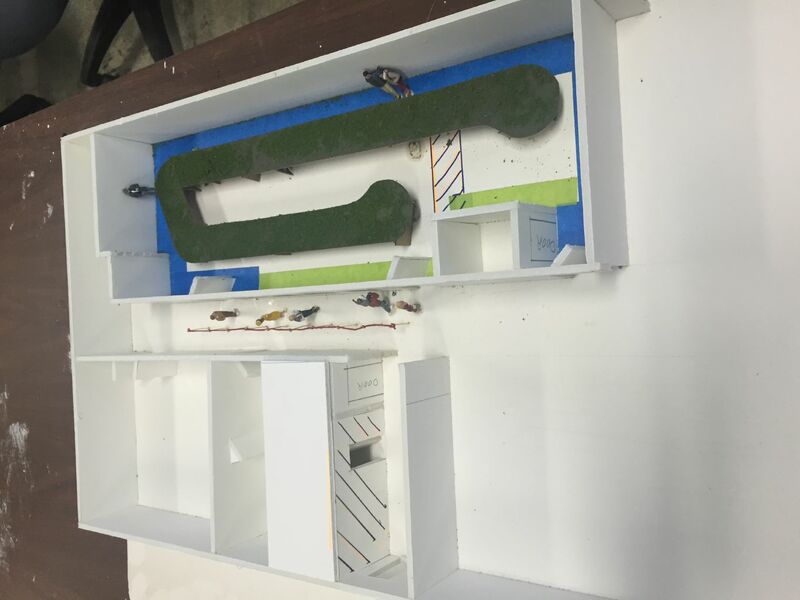 One of the mock-ups for the layout room by Steve. the green part on the right is the layout itself. This version includes the possible future expansion to the current layout.